Marketing was formally a far simpler task than it is in today’s connected world- not too long ago, it was along the lines of thinking up a catchy slogan, designing an eye-catching ad, filming a memorable commercial. If your business did any of those well, you had it made. Who doesn’t remember the catchy slogans of the 80’s soda wars? Today’s keyed-in, connected generation, that’s who. The current marketing climate has become a mix of all of the above with the element of the exceptional use of social media thrown into the already-demanding mix. Entrepreneurs can’t just throw ad money at a campaign anymore; instead companies must also use social media to bring a brand to life. Enter author David Meerman Scott, an early pioneer in the use of social media marketing tactics. 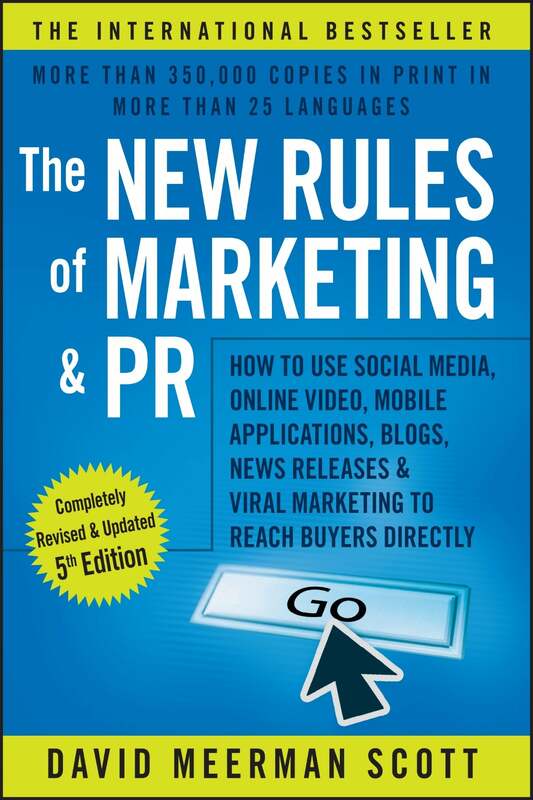 If there is only one book out there that marketing departments have on the must-read list, The New Rules of Marketing and PR is it. With a proven track record using social media to great benefit, he shares what he knows in this book. For those wading into social media space, give this a read and pass it along to your in-house head of comms for maximum benefit.